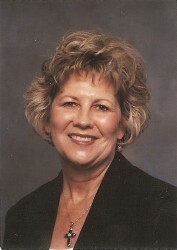 Dana graduated from Southeastern Oklahoma State University with a degree in elementary education, and upon retiring from Lone Grove Schools in 2005, she joined Ross Group Real Estate as a full time licensed professional realtor. She is a native of Ardmore, and has two daughters who live in the Ardmore area with their families. She brings abundant energy and dedication to her work. You can be assured that she will stay on top of all the details of a deal to provide a smooth and easy going transaction. She has been a consistent million dollar producer. Please don’t hesitate to call Dana anytime, as she is always ready to assist you in all your real estate transactions.